Rabbi Elli Tikvah Sarah has been the Rabbi of BHPS since December 2000 and is also Liberal Jewish chaplain at Brighton and Sussex Universities. 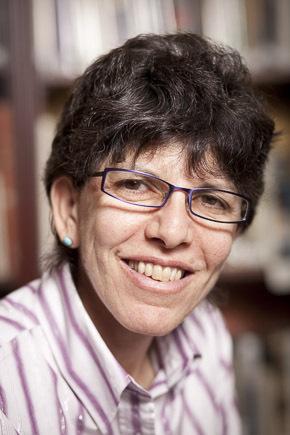 A sociology graduate (LSE, 1977), Elli worked as a writer and editor before embarking on rabbinic studies of the Leo Baeck College, receiving s’michah (rabbinic ordination) in 1989, and continues to write, edit and publish. Elli is committed to enabling members and friends of all ages to fully participate in the life of the congregation. Elli brings to BHPS, Jewish learning, active commitment to gender equality and interfaith dialogue, and great energy and enthusiasm. Elli is always pleased to meet existing and prospective members and friends at the synagogue or in their own homes.